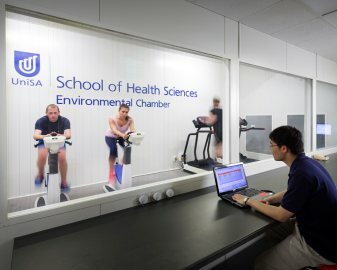 Study Bachelor of Exercise and Sport Science, Bachelor of Psychological Science (Counselling and Interpersonal Skills) at the University of South Australia (UniSA). Information for International students. Learn in state-of-the-art on-campus facilities, such as our High Performance Sport Centre, Exercise Physiology Clinic, Environmental Chamber, Exercise Physiology labs, Biomechanics lab and a Health and Fitness Centre. UniSA is ranked number one in the state for research in psychology and social work1. SA's only fully accredited Exercise and Sport Science degree2. Learn from a University that has well-above world standard research in Human Movement and Sport Science3. Top 10 in Australia for Psychology4. World top 100 for Exercise and Sport Science5. Learn from experts and world-class researchers including Australia’s leading exercise scientists and experts in the field. 2Exercise and Sport Science Australia (ESSA). 52019 QS Subject Rankings, Sport-Related Subjects. This unique double degree will provide you with expertise in the areas of exercise and sport science, psychology, counselling, and behavioural research methodology. With a strong practical and multi-disciplinary industry focus you will graduate with a specialised set of skills to meet emerging market needs. The exercise and sport science component prepares you to provide counselling to athletes, rehabilitation services and to enhance the physical and mental wellbeing of the population. The psychological science component provides a balance of courses in psychology theory and counselling – for graduates this means you will enter the workforce with a strong understanding of psychology, as well as the analytical, communication and interpersonal skills needed to work with individuals, groups and communities. Practical learning is a focus, enhancing the work-readiness of graduates – the value of this study component has been recognised nationally in the form of an award from the Australian Federal Government Office of Teaching and Learning. If you finish your degree with a credit or higher grade point average (GPA) you could also be eligible for the one-year Bachelor of Psychology (Honours). Completion of this honours degree can lead to employment as a practicing psychologist (additional requirements must also be met). 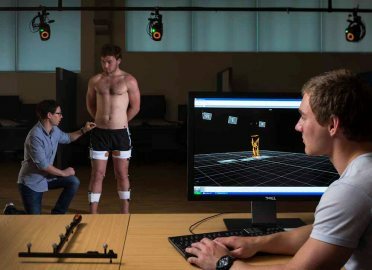 This unique double degree will provide you with expertise in the areas of exercise and sport science, and psychological science. You will graduate with a specialised set of skills to meet emerging market needs. Learning in state-of-the-art laboratories on-campus, you’ll gain expertise in human thought and behaviour, develop cognitive and creative skills to solve real-world scientific problems, and apply your knowledge in diverse contexts such as sports and mental health. The exercise and sport science component prepares you to provide counselling to athletes, rehabilitation services, and to enhance the physical and mental wellbeing of the population. The psychological science component provides a balance of courses in psychology theory and counselling – for graduates this means you will enter the workforce with a strong understanding of psychology, as well as the analytical, communication and interpersonal skills needed to work with individuals, groups and communities. 1. Specialist Psychology Courses are offered subject to student demand and staff availability. 2. This course is Specialist Psychology Course 1. 3. Students planning to undertake Honours in Psychology, either at UniSA or at another Australian university, must take and successfully complete the following Specialist Psychology Course: Advanced Research Methods. Those planning to undertake Honours in Psychology at UniSA must also complete the following Specialist Psychology Course: Psychological Assessment. Practical learning is a focus of this degree and you will complete a work placement in your first year, ensuring you gain industry exposure from the very beginning. You will also learn from industry experts and award-winning researchers at a university that has been ranked number one in the state for research in psychology and social work1. As a result of our extensive industry relationships, you will also have access to industry partners and alliances from a range of elite and local sporting organisations. This double degree enables you to graduate with two qualifications in only one extra year of study, and you will graduate with a unique set of skills that are relevant, current and meet the needs of emerging market trends. We have teamed up with a number of elite and local sporting organisations, such as the Port Adelaide Football Club, Adelaide United and Basketball SA, to provide you with excellent networking opportunities. You will also complete various placements, including one at a kindergym, as well as 140 hours of exercise delivery and prescription placement across a variety of settings, further enhancing industry networks and relationships. Athlete counselling: concerned with the wellbeing, mental functioning and physical performance of athletes. To become a professionally practicing or research psychologist, you must complete a one-year Bachelor of Psychology (Honours) degree. You must finish your degree with a credit or higher grade point average (GPA) to be eligible for honours. You could also take your career to the next level with postgraduate coursework in areas such as occupational therapy. This degree is accredited by Exercise and Sport Science Australia (ESSA). Graduates are eligible to apply for registration as an Accredited Exercise Scientist through ESSA. I am excited to lead a team of highly-experienced teachers and researchers that are truly interested in developing students into competent graduates. With a degree that emphasises the application of classroom knowledge to practical, industry-relevant experiences, students will graduate with expertise in leading and encouraging healthy lifestyles.